Plans that will transform walking and cycling between St George's Cross and Kelvinbridge will be the focus of two public drop-in events this month. As part of the public consultation on the proposals for 'Connecting Woodside', the council and Sustrans will be holding the engagement events to look closely at separate aspects of the plans. On Monday, February 11 designs for the North Woodside Road section of the proposals will be on show at Windsor Hall, Maryhill Road, G20 7NA between 3.30pm and 7pm. At both events staff from Glasgow City Council and cycling charity Sustrans will be in attendance to provide further information and answer any questions. 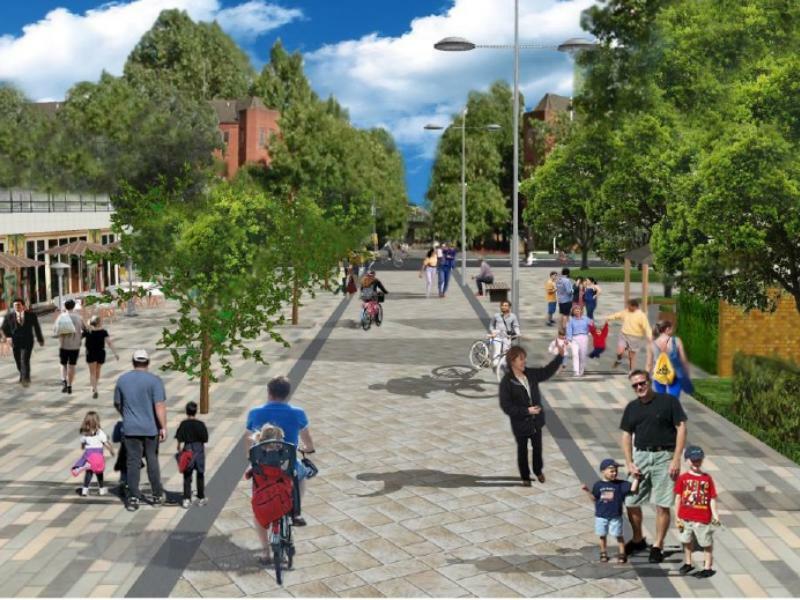 Through the 'Connecting Woodside' project, a number of changes to improve the environment for cyclists, pedestrians, local residents and businesses are being proposed. · Reallocation of road space. An online consultation on the plans is also open until the March 3, 2019 via the commonplace website www.glasgow.gov.uk/connectingwoodside. Anyone responding to the consultation can submit as many comments and proposals on the map as they wish. Consultation Information boards are also available and these give more information on the issues that are being considered. These boards will be on display at the public events and will also include an update of previous consultation on Garscube Road and the public area on North Woodside Road at Maryhill Road. Pic shows what St. George's Place may look like under the plans.